If you love to eat, you’ll love Peru. 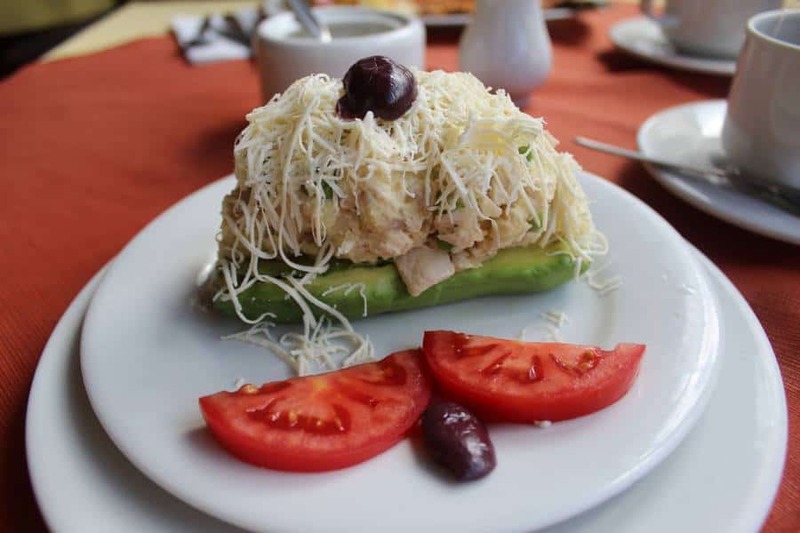 Get to know the place by exploring the many awesome Cusco restaurants! For the best bang for your buck, visit restaurants during lunchtime. In Cusco, it’s typical for restaurants to have a “set menu” for lunch. This almost always consists of a hot drink, soup, the main course, and a dessert, usually from S/. 5 to S/. 15 for it all! In Peru, tips are not expected at restaurants, but they are accepted. If you do choose to tip, it is customary to tip 10 percent. If you get food para llevar, be prepared to pay an extra fee for the containers. Usually it is S/. 1. This is a lively picantería serving many traditional Peruvian dishes, and hailed by many locals as one of the best places to try cuy (guinea pig). At lunchtime they have a special show on the restaurant stage featuring traditional folk dances. The Inka Grill is a bit pricey and caters to tourists, but it does serve up some delicious food in a slightly upscale atmosphere. The portions tend to be small, in my opinion. I recommend the causas and the lomo saltado. They sometimes have live music. Sumaq has two locations right next to each other on the street Siete Angelitos in San Blas. It’s kind of confusing because sometimes both are open at the same time, but the cooks will ask you to go to the other one depending on if it’s lunchtime or dinnertime. Prepare for a longer wait for your food here, as everything is made from scratch and cooked in a wood-fired oven. For lunch, you can get a set menu for S/. 15 or S/. 20. Every meal comes with a complimentary cup of wine or a Pisco Sour, plus homemade garlic bread. Ego’s is always packed with locals, and the waiters optimize space by seating strangers together. It’s a great place to meet new people and practice your Spanish. The lunch menu is written on a white dry erase board, and usually consists of typical dishes such as trucha frita, lomo saltado, and milanesa. The service may seem chaotic because of the crowds. When you’re done, just walk up to the register and pay. If you’re looking for a vegan and vegetarian restaurant in Cusco that serves Peruvian food, try El Encuentro. Yes, everyone knows this as the tourist restaurant of choice, and no, this isn’t the cheapest place to find food, but that doesn’t mean you should avoid it. The meals at Jack’s Cafe are seriously good. The main menu items may run around US$12, and while that is more expensive than the typical family-run Peruvian restaurant, it’s still affordable by American standards. You must try the “gordo” breakfast, which comes with a hearty serving of eggs, toast, bacon, sausage, grilled tomatoes, beans, and rosemary baked potatoes. This American cooking will really hit the spot, especially if you’re feeling homesick. Oh, and the chocolate cupcake—I’m going to go ahead and say it’s the best chocolate cupcake in Cusco. Staffed by some Americans, The Meeting Place is a great cafe to visit when you’re craving comfort food from the U.S. They serve up burgers bigger than your face, served with fresh-cut French fries. They also serve a variety of drinks, and all are available to go for an extra fee (typical in Cusco). It’s difficult to find drinks to go in Cusco. Definitely try their chai latte, one of the best I’ve ever tasted. The mango lassi is also delicious. My favorite dish is the Scott’s Special, made of ham, avocado, tomato, and cheese served on a big croissant. Spend the afternoon lounging here with a cup of coffee, and you will meet some of the most interesting people. The best part? One hundred percent of The Meeting Place’s profits go to projects that support the local community. A busy pub frequented by expats at night, Norton Rat’s also serves up a hearty American breakfast; you can get a huge banana pancake, eggs, juice and coffee. Norton Rat’s is also a great place to catch a futbol game on the TVs or people watch from the balcony overlooking the Plaza de Armas. Insider’s Tip: After a few weeks in Cusco, you’ll likely have a few favorite restaurants that you frequent. One idea is to ask the restaurant owners if you can work out a “meal plan” of sorts; you can pay for the month’s food ahead of time for a discount. That way, you get to eat your favorite food, and they get a guaranteed amount of money at the start of each month. Lovely little bakery with three locations; the one on Tandapata is my favorite. Pantástico sells different varieties of wheat bread, including quinoa (S/. 2). For sweet treats, I recommend the queque de limón and queque chocobanana. Everyone raves about the huge brownies as well. You can get any of the items heated up by request (“Caliente, por favor.”). In the mornings until about 10, you can get breakfast for S/. 10, which includes coffee, maracuyá (passion fruit) juice, one fried egg, toast, homemade jam, and butter. La Valeriana is a charming, French-themed bakery. The pastries here aren’t the best, but the ambience makes it worthy of spending an afternoon lounging at one of their tables while munching on a cupcake. Plus, it’s open 24 hours. El Buen Pastor is a good place to buy croissants and empanadas. The best part is it is a nonprofit that takes in neglected girls and provides them with shelter, work, and an education. La Bondiet is the best place to get a good cake, hands down. I went here on a local’s recommendation to buy a cake for a friend’s despedida (farewell party). It cost S/. 37 and was a huge hit with everyone. You can also get single cake slices and other pastries. The only dedicated cupcake shop I know of in Cusco. At Catalina Menta, they let you add toppings, such as sprinkles, to your cupcakes. They also sometimes sell cakes, cake pops, cookies, and marshmallows. Deli Monasterio has an upscale ambience, as it’s attached to one of the most expensive hotels in Cusco, the Hotel Monasterio. But the staff is friendly and the pastries and sandwiches, though pricey, are worth trying. This is the only place in Cusco where you can get a croissant-donut hybrid; it’s flaky on the outside, with a moist, doughy center filled with Bavarian cream. Located in San Blas, this charming creperie is part of a hostel, and is owned by a young French woman. She makes all the crepes fresh, both savory and sweet, and they are the best I’ve ever had. My favorite is the Max’s Crepe, made with two cheeses, caramelized onions, mixed cooked vegetables, and avocado. Tamales are made of cornmeal wrapped in banana leaves; they come both sweet (dulce) and savory (salado). The best place to get these is from the lady under the Portal de Belen in the Plaza de Armas near Paddy’s Pub. She should be easy to spot because of the constant crowd of locals gathered around her waiting for tamales. Picarones are made of squash and sweet potato dough deep-fried and then topped with syrup (they’re kind of like Peruvian donuts.) One of the best places to get them is on the corner of Ruinas and Tullumayo. Walk in and you’ll see a woman frying some up. You cannot order just one; she sells them in sets of four. Anticuchos are different types of marinated meats that are grilled and served on a stick. Some of them are cow hearts. This probably isn’t what you want to see after reading about all the delicious food to try, but food safety is a concern in Peru, particularly because the water contains bacteria that foreigners’ stomachs aren’t used to, and the restaurants aren’t regulated well. It is common for travelers to experience gastric distress at some point during their stay in Cusco. Check the cleanliness of the restaurant and glance into the kitchen if you’re able to. Check to see that workers wash their hands and keep their work area clean. Generally speaking, if there are a lot of people who frequent the restaurant, it’s probably safe. Don’t be afraid to ask if they use purified water to wash their uncooked vegetables and fruits. If you want to be extra safe, stick to foods that have been boiled, fried, or cooked in some way, and don’t eat the salads or anything that may have been washed with tap water. Be particularly careful with street food. If you do choose to eat it, make sure it’s been freshly cooked and hasn’t been left out in the sun for hours. 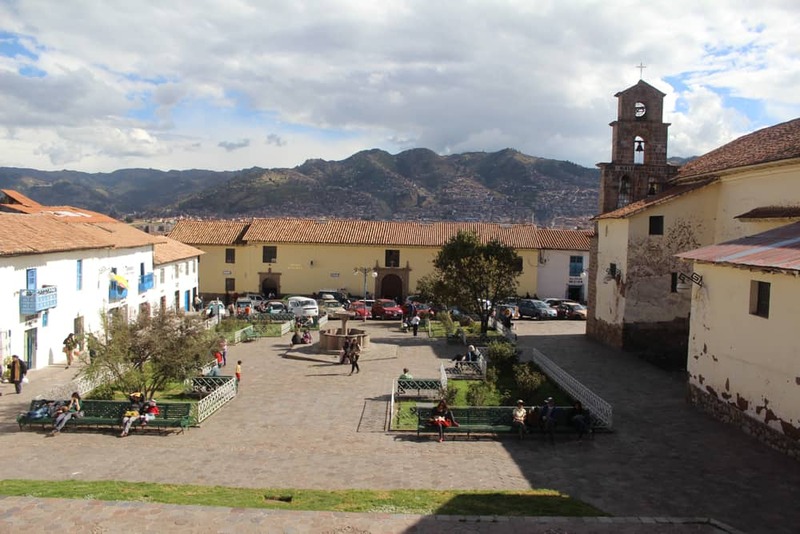 As a foreigner, you should not drink the tap water in Cusco, nor should you brush your teeth with it. Even in the shower, be careful not to swallow water. Water in Peru, as in many developing countries, contains bacteria, viruses, and protozoa that the locals have become immune to, but we foreigners can get sick from. Buy bottled water. Over time this becomes an expensive habit, not to mention a huge carbon footprint, but it is my preferred method because it guarantees chemical-free, pathogen-free water. Use a charcoal water filter. There are water filters for sale in stores all around Cusco, like El Molino. However, whether the charcoal filter is well equipped enough to filter out all the pathogens that have the potential to make you ill is questionable. Boil it. Many people choose to purify tap water by boiling it. A few things to note about this: Bringing tap water to a rolling boil for at least one minute does effectively kill most bacteria, viruses, and protozoa, according to the Centers for Disease Control and Prevention. However, it will not rid the water of other pollutants, such as chemicals. Also, because Cusco is at high altitude, you must boil water longer than the recommended time. The CDC recommends that at altitudes higher than 6, 562 feet, water should be boiled for three minutes. 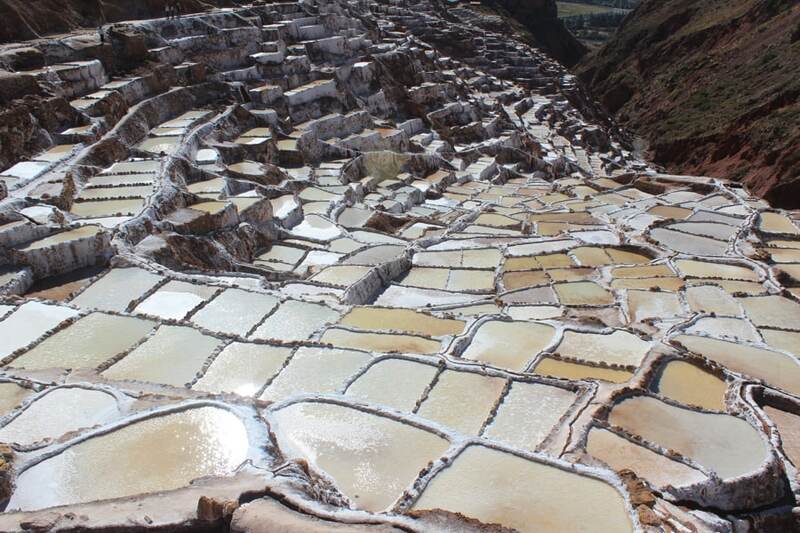 I’ve read other sources that recommend even longer boiling times for Cusco (since it is at more than 11,000 feet), anywhere from five to 12 minutes. Eat Your Way Through Peru! Peruvian food is among my favorites, so I really hope you enjoy exploring the restaurants in Cusco.